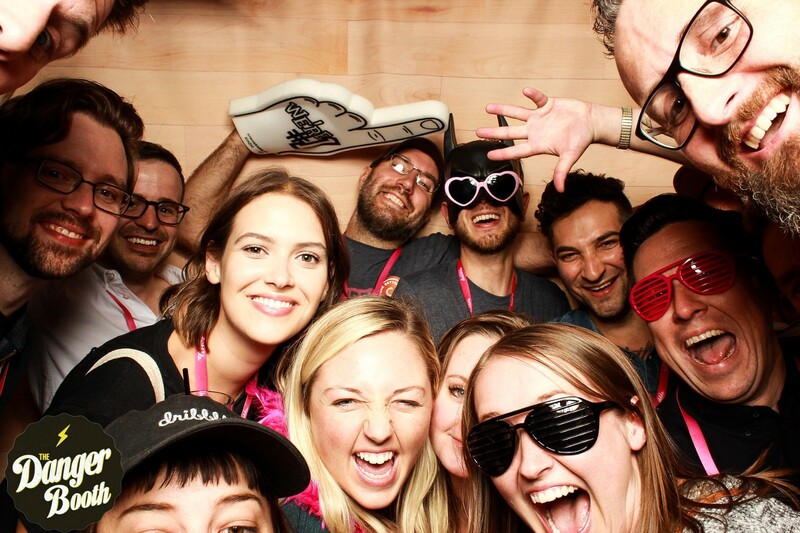 While we feel we’ve mastered the recipe for a killer company culture and successfully work remotely together, we make getting our team together in real life at least twice a year a priority. It’s always a blast — seasoned Dribbblers get to meet the new recruits, we talk about the company road map and do some project planning for the next few quarters... everyone always leaves feeling excited and energized. Hanging out at Hang Time Boston! This winter season, a couple months after our most recent team meet-up, I found myself craving that team spirit that comes with getting a remote company together (minus the legwork). Enter: Dribbble’s first ever, fully remote, holiday book exchange. We set a $25.00 budget and used an app to assign everyone a secret pal. The app also allowed everyone to upload their wish lists so their secret pal could get them something they really wanted to read. 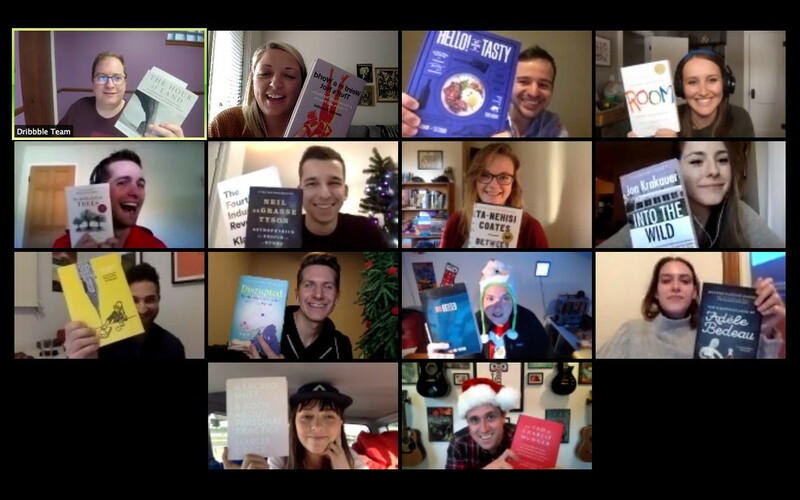 Using Amazon, everyone mailed their secret pal their chosen book, and we spent an hour one afternoon in December in a video conference unwrapping our books altogether, exchanging book recommendations and chatting about our holiday plans. While this was completely optional, we had a big turnout, and plan for another book exchange next year! Team building and spending time with your colleagues, whether virtually or in person, is a worthwhile investment in employee productivity, retention, and engagement — and working with a fully remote team shouldn’t, and doesn’t have to mean missing out on it! Since our book exchange, we’ve started a monthly happy hour where we bring our favourite drinks and play games over video conference, and, inspired by the book exchange, have launched a book club.